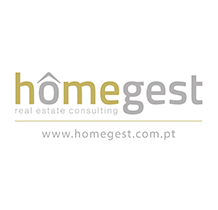 HOMEGEST is a premium real estate company specialized in supporting and advising international clients to purchase a property in Portugal, be it for investment or lifestyle. We offer a personalized accompany throughout the property investment process of the Residence Permit Program (Golden Visa) with a full package of services including lawyer support during the application process. Our company offers qualified and experienced team that guarantee an outstanding service to our clients. Dedication, personalized service and commitment for our client’s success, are features that set us apart from the other players on the market. Experience combined with deep knowledge of the Portuguese market, particularly in the Lisbon & Cascais areas, HOMEGEST Real Estate Consulting offers a qualified and varied range of properties.